GLC's Men's Ministry meets the third Saturday of the month for breakfast, prayer, and/or service. We usually gather at 8 am at Salem Hills Restaurant. We say "usually" because on days we're having a work day or service project the location may vary. Greenford Lutheran's men’s group hopes to provide a place for men of the church to fill their bellies and their hearts so they can be empowered to be like David- “a man after God’s own heart” (Acts 13:22). 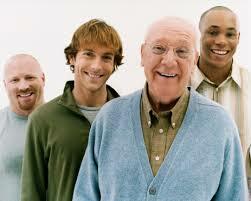 Men of all ages are welcome!! 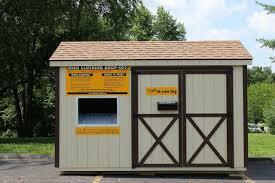 Our Men's group sponsors the clothing donation shed at the back of our parking lot. St. Pauly Textile pays us for the clothing we collect. St. Pauly Textile Inc. is a Western NY based, family owned for-profit company and an A+ member of the Better Business Bureau. Our goal is to get USEABLE clothing to people who can use it, here in the U.S. and in developing countries, while having a meaningful impact in our local communities.